"A dead hookers guide to the galaxy!" A criminal psychologist, Bill Chrushank, is involved in a near fatal car crash. As a result, his arm is severed. His wife agrees to allow him to undergo a special transplant surgery. The new arm is horribly scarred, but it can function. Troubles do arise during the rehabilitation process as Bill finds his arm does not always react the way he wants it to. In some situations, the arm acts violently. Bill's nights are not exactly pleasant as he suffers from terrible nightmares. These nightmares come with visions of violence and murder. Bill slowly begins to have his suspicions about the donor where the arm came from. Bill's actions start becoming erratic and he even gets involved in a car accident when he seemingly loses control. The situation becomes even more mysterious when it is revealed the tattoo on the transplanted arm is one that is commonly found in prison. It turns out the arm comes from the serial killer Charley Fletcher and now the arm is affecting Bill's thoughts and actions. 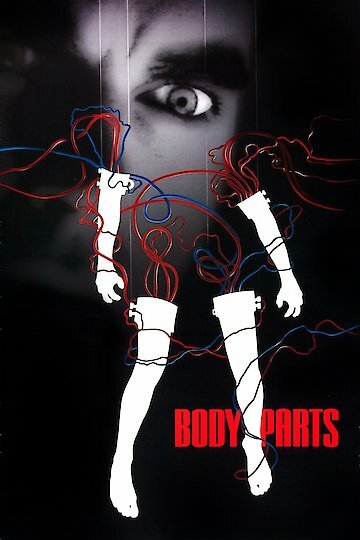 Body Parts is currently available to watch and stream, buy on demand at Amazon, iTunes, YouTube VOD online.